The Spirit II E-310 Gas Grill is a spacious gas grill that comes with a grilling area, convenient side tables for serving trays, and tool hooks for hanging your cooking utensils on. With durable all-weather wheels, an iGrill3 ready thermometer, and accessories like a griddle, grilling stone, and grill cover, this gas grill meets the many needs of barbecue enthusiasts. For nearly 30 years, Weber has made some of the best and well-respected gas grills in their price range. Carving out the space between the hardware store bargain grills and the high-end appliance store units, Weber has been comfortable in its space. When Weber reintroduced their Spirit line of grills to widen their market share in 2013, the grills were redesigned to bring them into line with the brand's accessories and Genesis grills. The Spirit E-310 is the heart of the Spirit line. It is larger and more versatile than the two-burner versions. It lacks the unnecessary stainless steel body parts of the S-series or the potentially unneeded side burner of the E-320, making it the basic grill that Spirit represents. The three-burner unit has enough cooking space to accommodate most families. It also includes a porcelain-coated cast iron cooking grate that's heavy enough to create grill marks. It has a basic set of Weber extras like a tank gauge to help prevent you from running out of gas. The big question about this gas grill is whether or not it is worth the price. At around $600, there are a number of grills that are cheaper. Like those grills, this one is made in China and uses lower-grade stainless steel for its burners and other components. But if properly taken care of and used frequently, the investment is worth it. The basic three-burner Spirit Gas Grill from Weber is a great option for those who want a cookout, and it can be bought directly from Amazon. 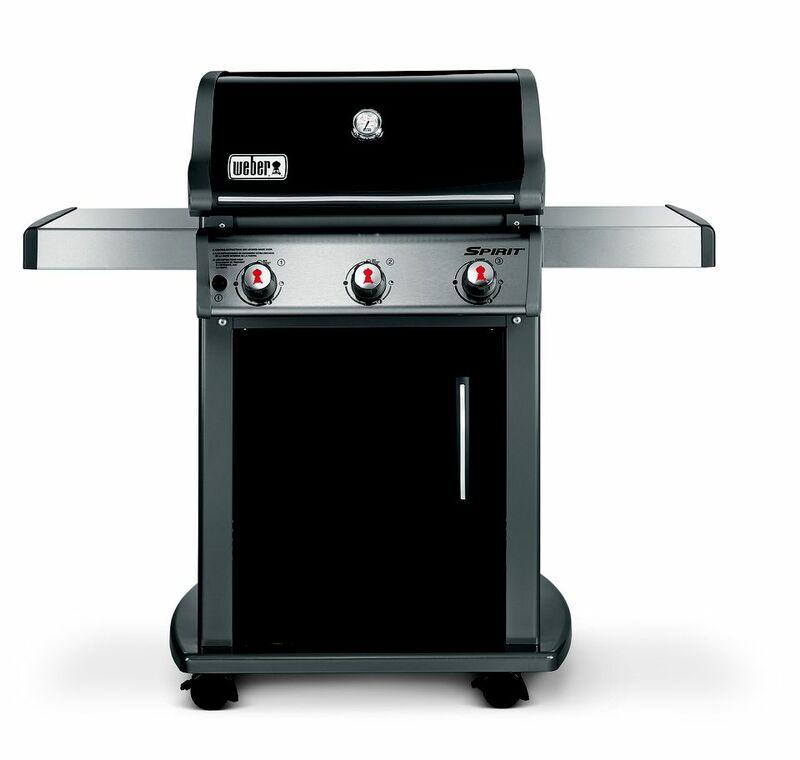 In comparison to similar grills, this one is better built and its warranty and support are superior. Overall, the biggest pro is that it's a well-built grill. The only cons are that it includes lower grades of stainless steel and is pretty basic for the price. After a while, your grill may need a new replacement battery. Either way, gas grills can benefit from new parts. To replace the battery, find the right replacement igniter kit for the 310 model. Most of these come with a front mounted control panel designed to provide a safe and easy start for your grill. The product includes a push-button igniter module, electrodes, washers, and wiring. With just a screwdriver, you can easily install this safety kit without using matches.